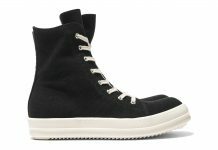 These are definitely walking, more like prancing, along the line of boot and sneaker, yet these high-tops pull off both with some serious swagger. 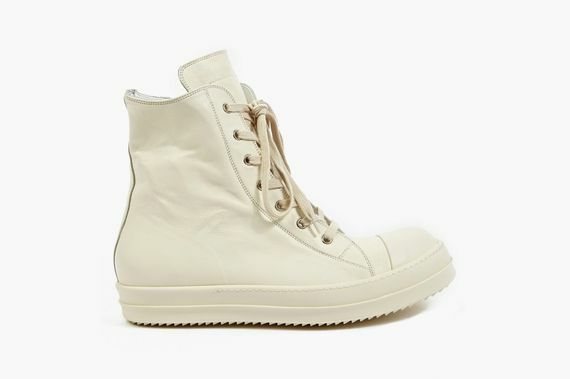 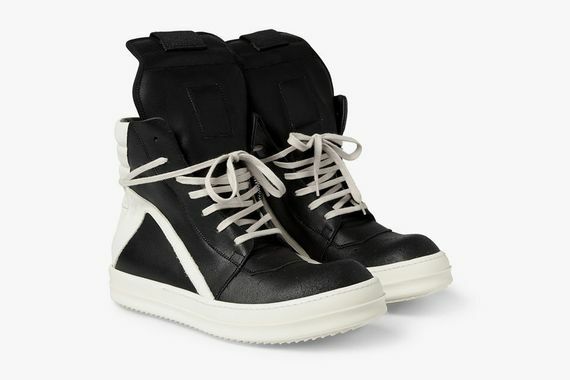 Rick Owens has made quite a name for himself in the footwear department lately, and these are a unique edition to the lineup. 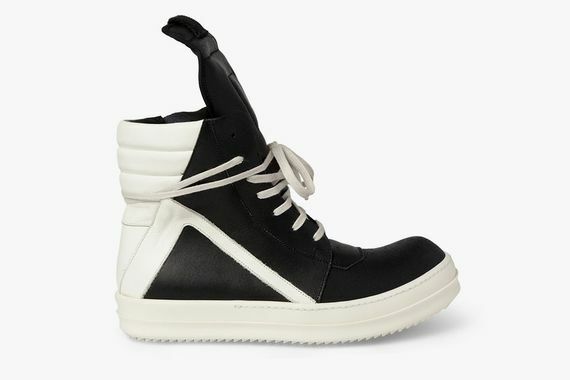 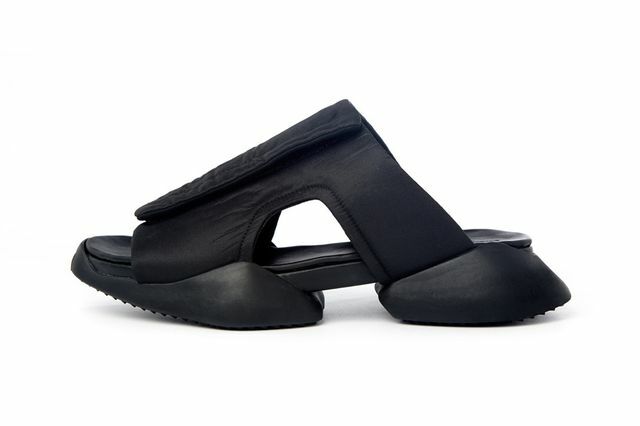 Black and white leather panels are creatively color-blocked and sit upon an all white sole. 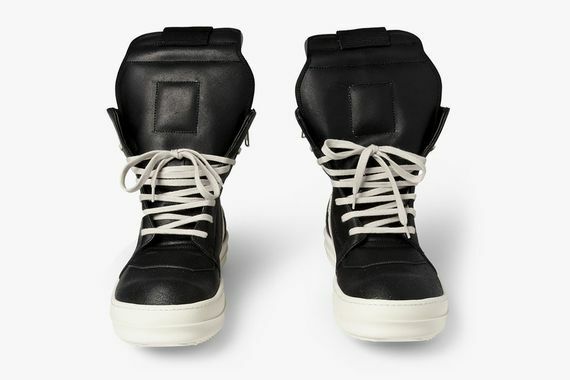 Head over and cop your pair now.